Mr Gay World 2019 will no longer take place in Hong Kong as previously announced, the event’s organising committee announced on Sunday. The annual competition was scheduled to take place between April 28 and May 4 in Hong Kong, as announced in July. Marketing for the event had already begun, with social media posts from the official Mr Gay World account encouraging fans to plan their trips to China’s special administrative region. Plans have however had to change after the local hosting company, located in mainland China, said they cannot organise the event in line with Chinese authorities’ clampdown on LGBT+ events and campaigns, Mr Gay World president and founder Eric Butter announced in a statement. “It is with great disappointment that I’ve been informed that Mr Gay World will not be able to go ahead in Hong Kong due to the struggles that our Chinese colleagues and their families are facing in their homeland,” Butter said. “The safety of our delegates and their families is of utmost importance,” he added. When Hong Kong was announced as the host city of the 2019 competition, the local organising committee president Charles Sun expressed excitement, but also mentioned the challenges ahead. The event will now take place in Cape Town instead. 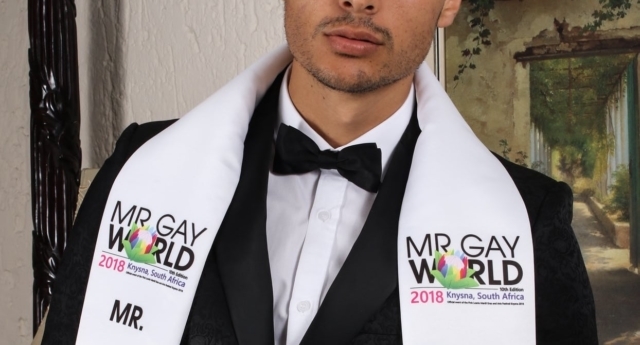 South Africa is thus hosting the competition for the second year in a row and overall for the third time in Mr Gay World’s 10-year old history. Jordan Bruno, the Australian chef who was crowned Mr Gay World 2018 in May in the city of Knysna, in South Africa’s Western Cape Province, expressed disappointment with the Chinese authorities’ anti-LGBT attitude. Hong Kong is still due to host the 2022 Gay Games, an event in which China took part in 2018 for the first time.